As Vietnam plays its first Asiad 2018 match, millions of fans have been left in the lurch. Vietnam plays its first match of the Asian Games in Indonesia against Pakistan today, but millions of fans have no chance to watch it, on TV or online. 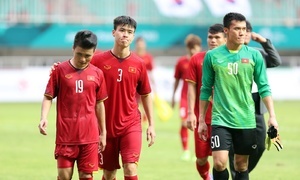 With no national broadcasting rights to show Asiad 2018 in the country, fans hoping to watch the Vietnamese men’s team matches online are getting blocked, plunging them into deed disappointment. The football matches begin before the official opening ceremony of Asiad 2018 this weekend in Jakarta, Indonesia. “I cannot just wait until the 11th hour for the broadcasting rights like the World Cup, Asiad must be streamed online,” said Hoang Minh, a sports fan. 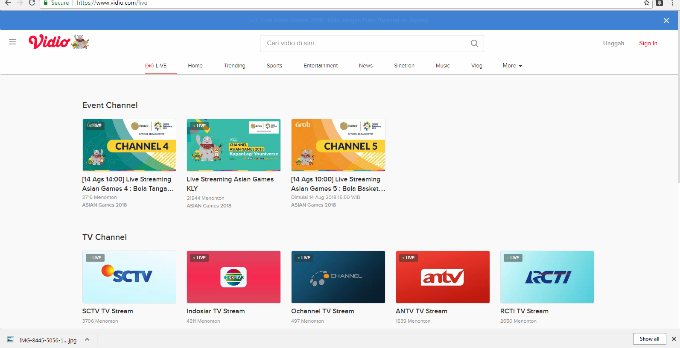 Like Minh, many people were delighted to found an Indonesian website called Vidio.com that would live stream Asiad 2018. Minh said he watched a few Asiad games already played on this website and the quality was decent. Vietnamese have watched a few first game at Vidio.com previously. “There’s no such thing as free live streaming for us, as Vietnam has not bought broadcasting rights for Asiad this year,” he said. “When people in Vietnam can stream and watch the Asiad 2018 games, it means that both Vidio and Vietnamese people have violated the broadcasting rights. Each country has to buy their own rights to broadcast the games, so Vidio must have just fixed an error,” said Phan Thanh Gian, CEO of Clip TV. To block free users from other countries, websites and online channels have an IP (internet protocol) filter to exclude all the IPs that are not located in the territory, which in this case is Indonesia. While people from outside Indonesia can watch the games by faking their IP address through some applications, many fans believe it is not the right thing to do. “In football, we promote fair play as a motto, so don’t we have to do the same with broadcasting rights? I’d rather wait for the highlights and post match broadcasts if there is no legal way to watch,” said Quang Huy, a sports writer. Clip TV CEO Gian said that high prices made it difficult for VTV and other broadcasters in Vietnam to buy the Asiad 2018 rights. Meanwhile, big internet companies and online channels are willing to pay high prices for broadcasting rights. For instance, Facebook has paid $264 million to broadcast the 2019 English Premier League season in Vietnam, Thailand, Laos and Cambodia. The Vietnamese national football team will kick off their first Asiad 2018 match against Pakistan at 4 p.m. This is the first time that the two teams are meeting on a football pitch.